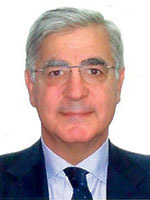 Pasquale Ferrara is an Italian diplomat and a Senior Fellow at EUI’s Robert Schuman Centre for Advanced Studies in Florence. The Mediterranean has again acquired global relevance. In this part of the world, the fault lines of the international system intersect and collide at a critical juncture between the Arab-Islamic world, the African continent, and the Euro-Asian perspective. Undoubtedly, the Mediterranean region could play a crucial role in enhancing global peace and stability, provided the countries that surround this majestic sea are ready to search for new participatory patterns and methods of inclusive governance. The current political, social, and economic situations in much of North Africa and other parts of the South Mediterranean have laid forth new challenges, especially in terms of security, human mobility, and intercultural dialogue. However, these circumstances only highlight the importance of dialogue and structured cooperation on an equal footing as fundamental tools for better mutual understanding and respect—particularly on cultural issues. The transitions, transformations, upheavals, and involutions that characterize the political and security dimensions in the region have led to a problematic approach by the relevant actors. As a result, the international community tends to think of this area in terms of overlapping crises, rather than unfolding opportunities. - the collapse of regional order and the emergence of new geopolitical dynamics, and their implications for the stability of the region and beyond. This dramatic shift in regional dynamics is articulated around four key axes: social, political, and economic shifts; transformations to the religious field; the emergence of a new regional (dis)order; and, finally, new human, economic, and information flows. The definition of the South Mediterranean region—its geographical and political borders—is a matter of contention among analysts and academics. There is some convergence, however, on a few fundamental elements that characterize the area as a whole: the existence of an “Arab core;” the persistence of a shared identity, though fragmented into multiple territorial states; and bordering non-Arab States (Turkey, Iran, and Israel), which are an intimate part of the region’s conflicts and balance of power. As such, the region is considered both the epicenter of world crises and the site of the world’s most protracted conflicts.